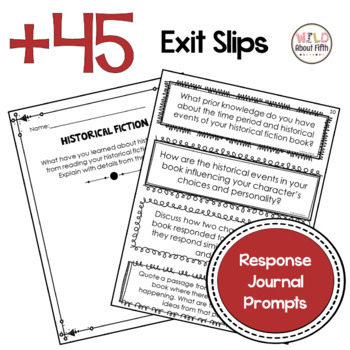 These 46 Historical Fiction Reading Exit Slips will organize your Historical Fiction mini-lessons and keep you and your students accountable for reading and responding with purpose during Reading Workshop. Bringing closure to your Reading Workshop is an essential piece of formative instruction! Yet this piece of the Workshop is the most often left out and/or forgotten piece. I'm guilty myself! 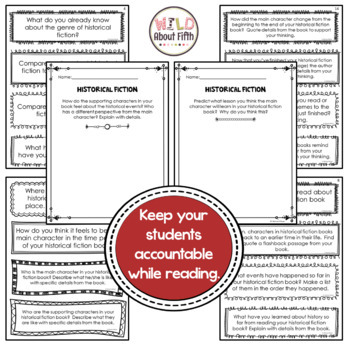 That's why I created this set of Historical Fiction Reading Exit Slips for grades 4-6. All too often we teach fabulous mini-lessons and our students read independently with stamina and meaning, but we forget to check for understanding at the close of our workshop time. It always seems like there’s never enough time to do it all. 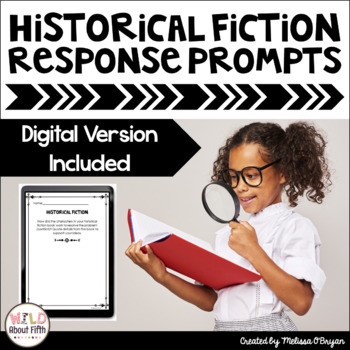 I hope you find these Historical Fiction Reading Exit Slips as powerful and helpful as I have! Stay tuned for more Reading and Writing Exit Slips as I add them to my store throughout the years! For Launching Reading Workshop Exit Slips click HERE. For Character Study Reading Exit Slips click HERE. For Informational Reading Exit Slips click HERE. 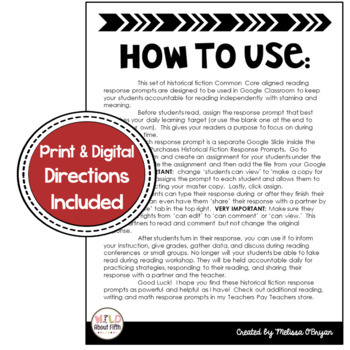 For a great deal check out my Reading Exit Slips BUNDLE HERE. For Launching Writer's Workshop - Personal Narratives click HERE. For Opinion Essay Exit Slips click HERE. For Informational Writing Exit Slips click HERE. For Memoir Writing Exit Slips click HERE. For a great deal check out my Writing Exit Slips BUNDLE HERE. Remember to leave feedback to earn points toward FREE TPT purchases. Plus, follow me so you don't miss out when I post new resources!! Electronic distribution limited to SINGLE classroom use only. Thank you for your support!